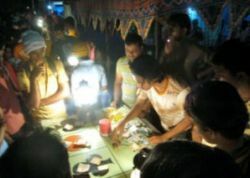 Police in Bhubaneswar (Odisha) have detained 14 suspects in connection with an illegal gambling ring. The gang allegedly offered their services in the Unit I market area, according to a spokesperson for the Bhubaneswar–Cuttack Police Commissionerate. At this stage it’s unclear what kind of illegal gambling games the suspects operated. Agents executed the raids yesterday in the afternoon, after a months-long investigation into the underground gambling operation. The spokesperson confirmed that 14 persons were arrested, while agents also seized nearly ten cell phones. Additionally, cash of `17,500 was recovered. All suspect are being held in jail in anticipation of their trial. At the same time, Navi Mumbai authorities have arrested 53 individuals who were gambling at three Ganesha pandals. The male suspects, between the ages of 25 and 35, were caught red-handed. Police recovered a sum of Rs2.78 lakh. All illegal gamblers walked out of provisional detention after fulfilling the conditions required for their bail.